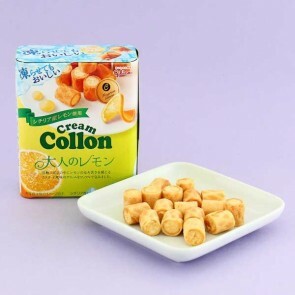 Cream Collon from Glico are small cream filled biscuit rolls. 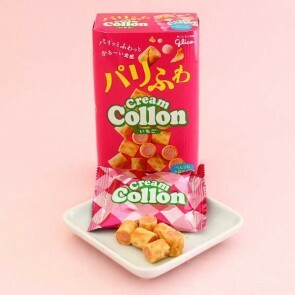 These 1 bite-size biscuits are classics and as with most successful brands, Cream Collon has endless flavor variations that come and go. The biscuit tubes consist of a crunchy wafer biscuit filled with a smooth flavored cream filling that melts in your mouth.